A Criminal Offence is an act punishable by Law. 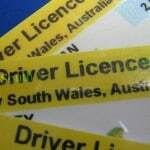 Have you lost your licence? Drivers who accumulate 3 findings of guilt for serious offences within 5 years will be declared a ‘habitual offender’ by the courts.